While electric storage, renewables, and the Clean Power Plan have received lots of press lately, a fourth revolutionary change has gone widely unnoticed. At the recent IEEE Power and Energy Society General Meeting, much talk was devoted to distribution automation. And while it was often discussed by the engineers as simply the next step in modernizing the system, changes to the distribution grid truly are revolutionary. 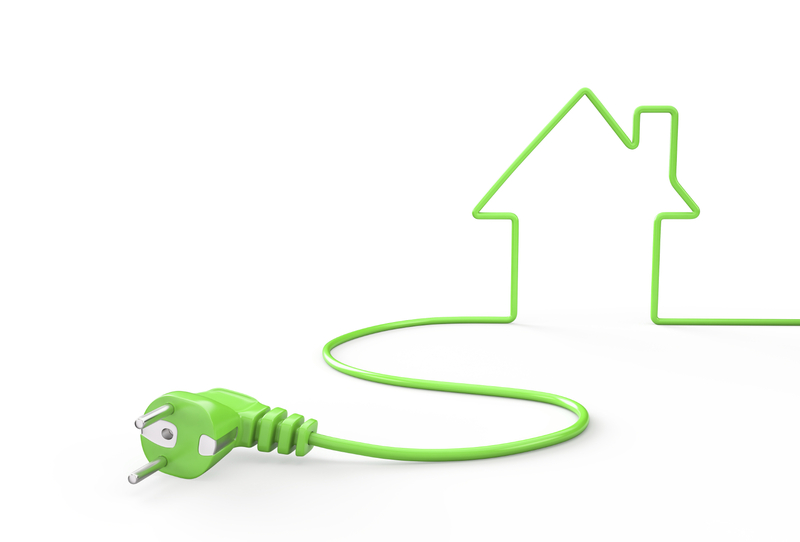 A few years ago, talk of the Smart Grid was all the rage, and when visible change other than smart meter installations didn’t occur overnight, many decided it was just hype. Now, utilities are taking the lessons from numerous Smart Grid demonstration projects and are quietly modernizing their grids. Prior to just a few years ago (and still in some areas of the grid) there would be no remote communication with the distribution substation or with the circuits beyond. Utilities would learn about an outage from customers calling in to complain. Then, the utility would send a crew to check the substation, then work its way down the line checking other components manually. 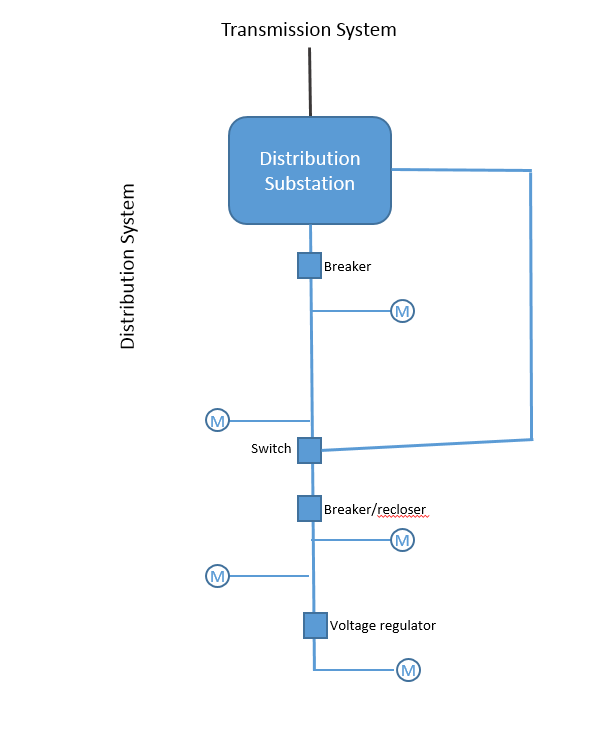 If the problem occurred on the section of the circuit below the substation but above the switch, then the circuit would be switched manually to restore service to the customers on the bottom. This would likely take at least a few hours. Even on days without an outage, difficulties could occur. The voltage regulator near the end of the circuit, required to ensure sufficient voltage to the last customer, was set in a fixed position. This means it could not respond to the actions of the customers, and often it would raise voltages higher than optimal simply to ensure this customer got voltage within the tariff requirements. Today on an upgraded circuit, outages are reported automatically, crews can often be dispatched immediately to the location of the problem, and the grid may switch automatically to restore service to customers when possible. As you can see, grid capability has fundamentally changed. 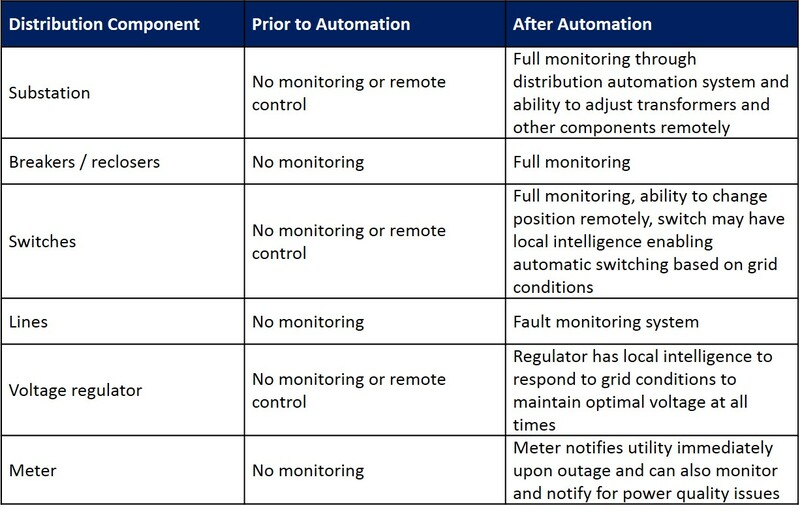 The result is reduced times for outage response (and in some cases, restoration of service automatically), reduced costs for maintaining voltages (utilities can often reduce peak demands by as much as 1%), and reduced maintenance costs through monitoring of conditions (for example, transformer oil can be changed as needed, not on a fixed schedule). As sensors, controllers, and monitoring equipment become even less costly, utilities will find more and more ways to efficiently upgrade their distribution systems. This will allow them to prepare for a rapidly approaching world where the distribution system is asked to do many unconventional things such as offer choices for power quality service levels, integrate numerous distributed energy resources, and protect against growing concerns about system security. This is a significant jump from the utility of yesteryear, yet today’s modern electric consumer is unlikely to notice a big difference. If you ask your next door neighbor what they think of the utility’s distribution automation program, you most likely will get a blank look! This entry was posted in Electricity and tagged Clean Power Plan, Distribution automation, Electric distribution, Electric utility. Bookmark the permalink.